An unnamed executive at Taiwanese electronics manufacturer Foxconn revealed that Apple's iPhone 5 is the most challenging assembly the company's workers have ever faced. "The iPhone 5 is the most difficult device that Foxconn has ever assembled. To make it light and thin, the design is very complicated," the exec reportedly told the Wall Street Journal. "It takes time to learn how to make this new device," he or she said, adding, "Practice makes perfect. Our productivity has been improving day by day." The exec went on to admit that recent conflicts between workers had to do with certain quality issues, including iPhone 5 handsets carrying significant chassis scratches right out of the box. "It's always hard to satisfy both aesthetic and practical needs," said the executive. The iPhone 5 has suffered from production shortages, creating long waits for those who order the new device. 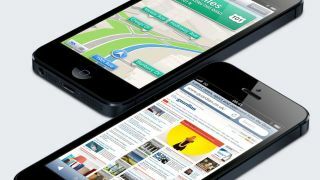 One possible explanation for the iPhone 5 shortages could fall on the production troubles experienced by display manufacturer Sharp. Now it seems troubles at Foxconn is perhaps to blame as well, though that shouldn't come as a surprise. Foxconn has courted its share of controversy this year, so it's easy to forget that 99 percent of the time its employees are simply making iPhones and other devices. That's when they're not going on strike due reportedly to unreasonable quality control demands combined with lack of proper training of course. Though, to be fair, that strike supposedly never happened at all. But there's no denying that Foxconn employees are distracted by the occasional riot.